I am back! :) Last week I've been totally occupied with the intensive week at my new university. It was really great but unfortunately my time to blog was severely limited (not to say non-existent). 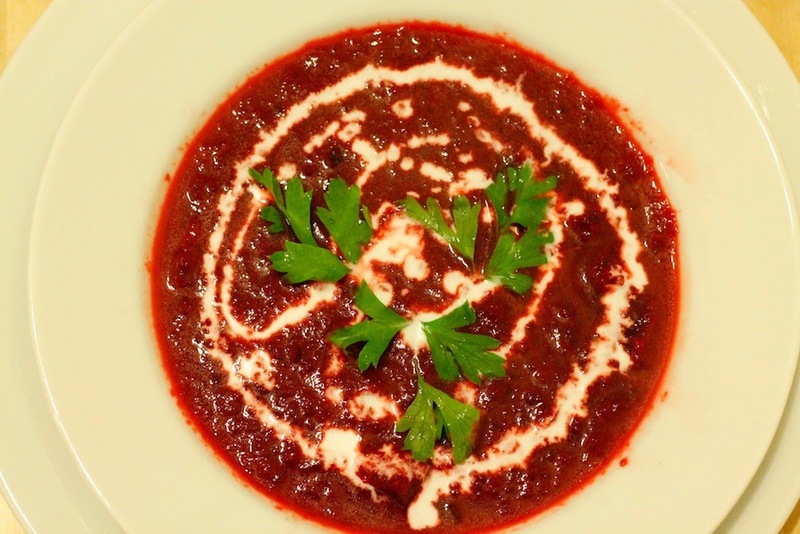 Today I want to share a recipe for a really good and nourishing beetroot soup. 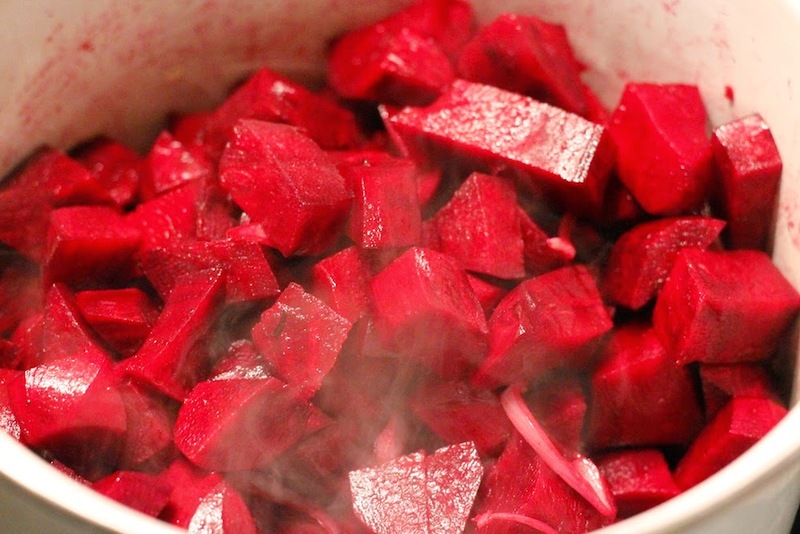 I love the red beets and think they are the perfect vegetable for cold autumn and winter days. 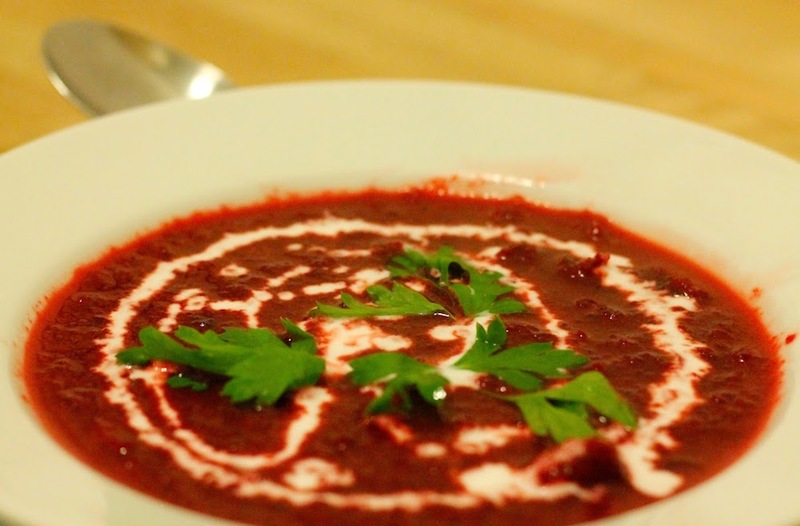 The recipe for beetroots soup is really simple. Start out with peeling the beetroots, the onion, the garlic and the ginger. 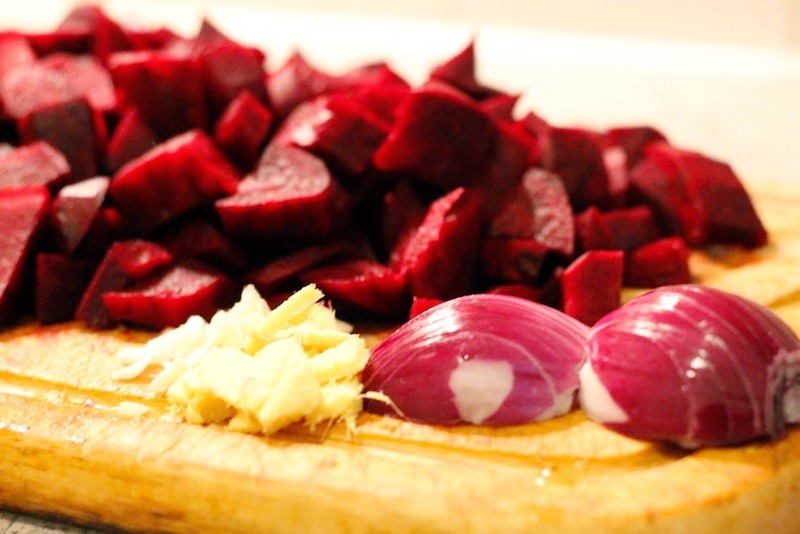 Then cut the beetroots into cubes and the onion, the garlic and the ginger into thin stripes. Heat up some oil in a pot and roast the onion, the ginger and the garlic for a few minutes. Then add the beetroots and a teaspoon of salt. 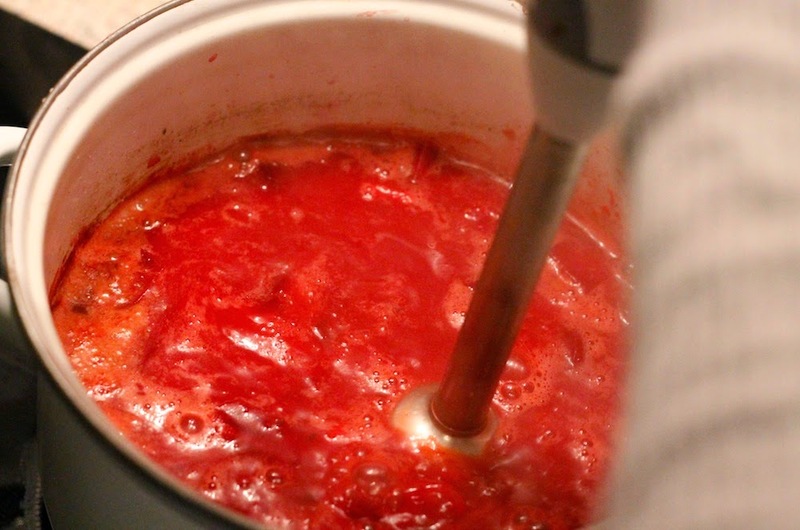 Add the vegetable stock and the coconut milk and cook the beetroots on low heat until they are soft. Purée the soup with a hand-held blender and salt and pepper to taste. PS: I also shared this recipe at the "Create & Share DIY and Recipe Party" on A Simple Pantry.